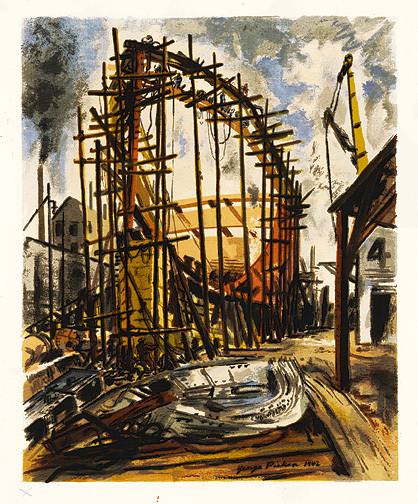 Building the Ship - - 1942, 15-color Serigraph. Edition not stated. Signed and dated in the screen, lower right, as issued. Image size 20 1/8 x 16 3/16 inches (511 x 411 mm); sheet size 24 x 19 7/8 inches (610 x 505 mm). A fine impression with fresh colors and full margins, on heavy cream wove paper. Toning verso, and on the top sheet edge, recto, well away from the image, otherwise in excellent condition. 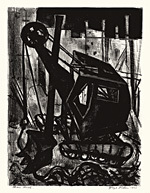 Published by Living American Art. 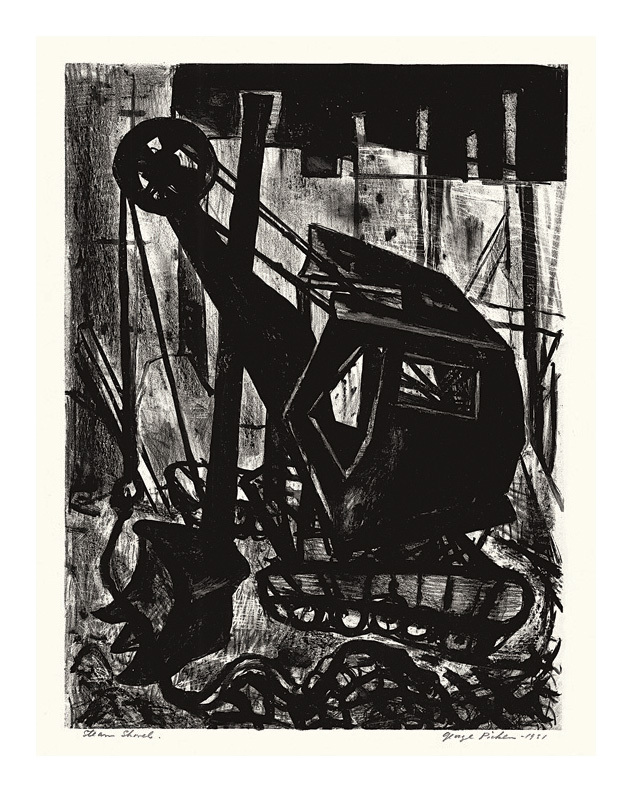 Steam Shovel - - 1951, Lithograph. Image size 14 3/4 x 10 7/8 inches (375 x 276 mm); sheet size 19 7/8 x 13 1/8inches (505 x 333 mm). A fine impression, on off-white wove paper, with full margins (1 to 3 inches); repaired tear (2 1/4 inches) in the top right margin, well away from the image; otherwise in excellent condition.